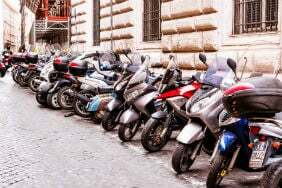 More older people are revving up their motorbikes to enjoy the economy and thrills of two wheel riding with born-again bikers now accounting for around a fifth of all motorcyclists. Often they’re older people who have taken to the road on two wheels for the first time, or for the first time in decades. The phenomenon has grown as those in their forties and fifties have found themselves with more money as their salary has improved or children have left home. It means many are finally able to afford the bike they dreamt about as a youngster, whether it’s a Harley, Triumph or other classic. But could they also be paying over the odds for insurance cover by not comparing enough providers? 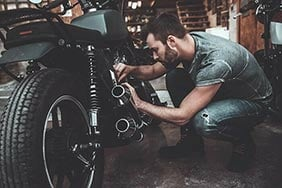 Who pays higher motorbike insurance premiums? Young bikers are forced to pay a premium for insurance because of their inexperience and the risk of riding a bike. It's not just a perceived risk: government figures show that motorcyclists make up just one per cent of total road traffic, but account for around 19 per cent of all Great Britain's road user deaths. But, let’s face it, older people in general tend to be more careful riders and less likely to have an accident. Touring bikes are more popular than sports bikes with older people, for instance, so the riders are less likely to be speed freaks. But with many mainstream insurers they are also penalised simply for being bikers, with little regard being paid to their experience and passion for biking. The good news for experienced bikers is that this outdated attitude is beginning to change and insurers are creating special policies aimed at older riders, with Saga being the latest to do so. 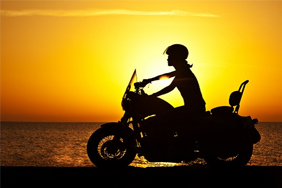 Saga's motorcycle insurance was launched last month and is available exclusively to people aged 50 and over and protects against loss, theft or damage to motorcycles and includes 60 days EU cover for those planning a European biking tour. 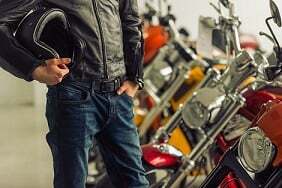 Born-again bikers can also pay extra for personal accident, legal expenses and helmet and leathers cover. Finding specialist insurance rather than simply sticking with a well-known brand can yield great savings for bikers. 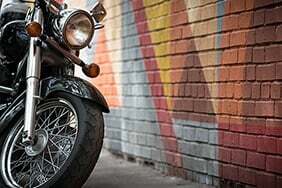 Some big name insurers think motorbike insurance is too risky and steer clear of it. 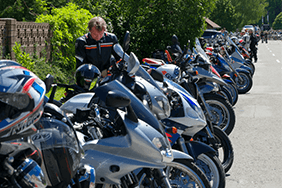 But there are a number of companies and brokers which focus on motorbike riders, including Bennetts, Hastings, eBike Insurance, Just Motorcycle Insurance, MotorCycle Direct and AA Motorcycle amongst others. The key though is to find the right policy at the right price, which doesn't mean always buying the cheapest. Cutting the cost of cover doesn't just mean shopping for a bargain, but knowing what you need and finding the best value deal to suit your requirements. 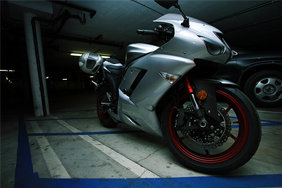 If you can keep your bike locked away in a garage, for instance, that can considerably cut the cost of insurance. Theft is one of the biggest problems for bike owners - some 35,000 bikes are stolen each year and only 15% are ever recovered. If you don't have a garage, it may even be worth renting one. It'll keep your bike safer and reduce insurance premiums, which could make it well worthwhile. Other security will also help. Fit an insurance-approved lock and alarm, immobiliser or data tag identification and tracking system and tell your insurance provider about these. Another good idea is to complete an approved advanced riding course. It'll cut cover costs but also improve your riding skills. 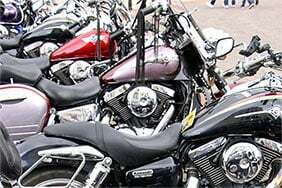 Courses are run by organisations such as The Institute of Advance Motorists and the British Motorcycle Federation. Other than that you can reduce insurance costs by agreeing a higher excess, or having more than one vehicle with the same insurance provider. Do several of these things and premiums should fall to a reasonable level, which will allow you to then enjoy your new-found or reacquainted freedom of the road.